Thanks. Thats a great point. As far as i know its been registered as a plain jane receiver by the last two owners but and was not built into anything other than being kept in a safe. That doesnt tell me what was done prior to that. Might be safer just to SBR and wait. 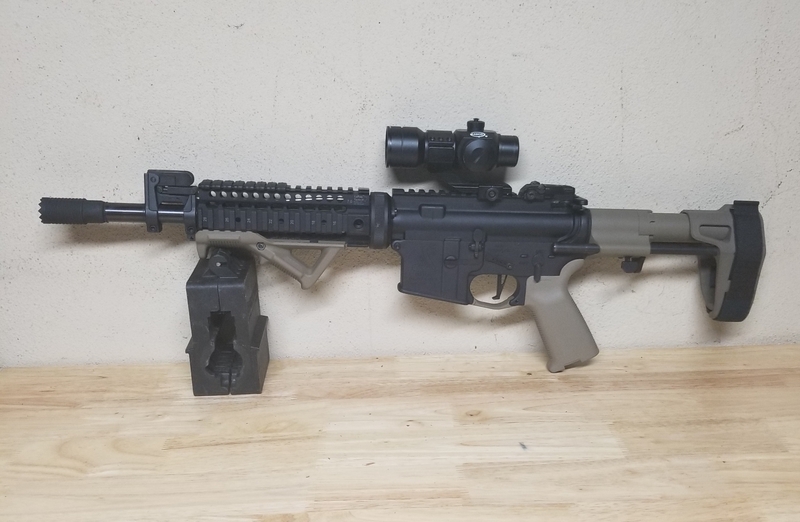 If you SBR it you cannot go back and make a pistol of it later. Just FYI. But if i go pistol now without actual proof I might be in a world of hurt. I will say this. Lets make sure to go out Nov. 6th and do our part to help flip this state and get rid of this nonsense. Unfortunely the absolute best we can hope for next month is holding the line for a few years, never will be reversed except at SCOTUS. I'll hope for more but agree the changes will only come through SCOTUS. -- didnt malloy executive order sb1160 in? if he did , cant a new GOV executive order it out? -- didnt malloy executive order sb1160 in? news to me. that was before my time though, so wasn't paying attention back then. It was voted in I looked up to see who voted for it to determine who not to vote for last time around.